Welcome to Metachthonia, the electric and modern world crafted by an amazing Folk and Melodic Black Metal band from Canada. 1. the epoch after the age of the earth; this current electric age. 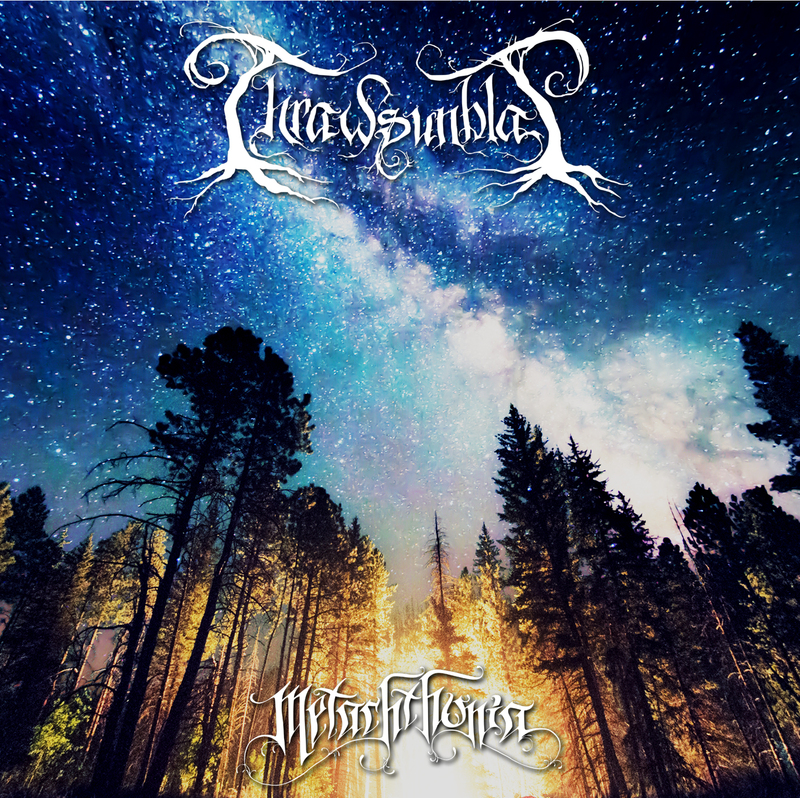 Dear metalheads from all over the world, welcome to Metachthonia, the brand new concept album by Canadian Folk/Melodic Black Metal act Thrawsunblat. Metachthonia is ancient Greek for “the age after that of the Earth”, referring to today’s modern world where we find ourselves under fluorescent light more often than sunlight, and so yearn for the natural world. Firing a unique blend of Folk and Black Metal inspired by bands such as Amon Amarth, Borknagar and Ensiferum, being even labeled as “Folkened Black Metal”, this extremely talented band from the city of Fredericton, the capital of the province of New Brunswick, puts no limits to their creations, offering the listener an eccentric and fresh version of extreme music that will captivate you from start to finish. Formed in 2009 by multi-instrumentalist Joel Violette (ex-guitarist for Woods of Ypres) as a side project together with David Gold, the lead singer and drummer for Woods of Ypres, and having released their debut album named Canada 2010 that same year, Thrawsunblat became Joel’s main band following David’s tragic death in December 2011 as a result of an automobile accident. In 2013, the band released their second album, entitled Thrawsunblat II: Wanderer on the Continent of Saplings, already featuring Brendan Hayter on bass and Rae Amitay on drums, as well as fiddler Jeff Mott (and obviously Joel), presenting a more complex side of their music. Now in Metachthonia (which by the way has each one of its songs divided in three parts as you can see HERE), not only Jeff and his fiddle were replaced by cellist Raphael Weinroth-Browne, but the band also decided to venture through darker paths, sounding more blackened than before and, therefore, more intense and thrilling. The 11-minute hymn Fires That Light the Earth is a beautiful start to the album. Although the strong sound of the cello is very captivating, it’s when the music explodes into the “Folkened Black Metal” proposed by the band, with Rae setting fire to the music with his bestial beats while Joel is anger incarnate, that the journey truly takes off. In addition, the clean vocals add epicness to the musicality, with the guitar lines by Joel and the bass lines by Brendan creating an ocean of sounds and vibrations. When the smoother and more melodic She Who Names the Stars begins, Joel and his crew are waiting for the listener at Metachtonia with arms wide open (“All you, welcome to Metachthonia. / It’s like the rustle of leaf to ground against the industrial sound. / All you, welcome to Metachthonia. / It’s like the sun on your skin while the diodes draw you in.”), with the cello by Raphael providing a good balance with Rae’s furious drumming. The music flows flawlessly throughout the almost ten minutes of the song, arising all types of emotions until its harmonious ending. In Dead of Winter, a short choir-like intro morphs into sheer madness, a Blackened Folk Metal feast where Joel and Rae steal the spotlight with their awesome harsh growls/clean vocals alternation and infernal beats, respectively. It’s interesting how they prepare the listener for the sudden eruptions of Extreme Metal, with acoustic folk sounds bursting into an avalanche of blackened music. Hypochthonic Remnants is more violent and visceral than all previous tracks, mainly due to the thunderous guitar lines by Joel, enhanced by the song’s endless progressiveness and the hints of traditional Heavy Metal and even Power Metal added to its main riff. Furthermore, its second part is a solid blend of the Folk Metal by Ensiferum with the darkened sonority of Borknagar and Old Man’s Child, which then flows into an melancholic acoustic ending. Tribal drums ignite another obscure voyage of progressive folk music named Rivers of Underthought, the least violent of all songs where the unique sound of the cello by Raphael yet again adds a lot of beauty to the overall result. It’s a lot more inclined to the harmony of Folk and Pagan Metal than to the savagery of Extreme Metal, all embraced by a strong progressive ambience during the song’s almost nine minutes. And finally, In Mist We Walk kicks off in devastation mode, with the sound of the guitar by Joel together with the galloping bass lines by Brendan not leaving a single space empty in the music. Its second piece is pure high-octane Pagan Metal with atmospheric and acoustic passages, whereas its third part is made for enjoying the excellence of its lyrics (“I walk the banks of the stream of electric thought. / I cross to the warmth of where I once was. / I look down to see a sixfold flame in hand. / Sing me the dark songs of Chthonia. / Sing life immense in passion and pulse.”). The fantastic concept of Metachthonia can be explored in more detail at the band’s official Facebook page, and if you want to provide your full support to such a distinct band you can purchase the album (which can be relished in its entirety HERE) at their BandCamp page. The electric and modern world of Metachthonia presented by Thrawsunblat might seem really dangerous at times, but we must admit it’s a lot easier to face any type of challenge or fear when the music behind it is as awesome as what’s found in this classy and multilayered album. Best moments of the album: Fires That Light the Earth and Dead of Winter.